I got tons of stuff wrong when I started blogging over a decade ago. 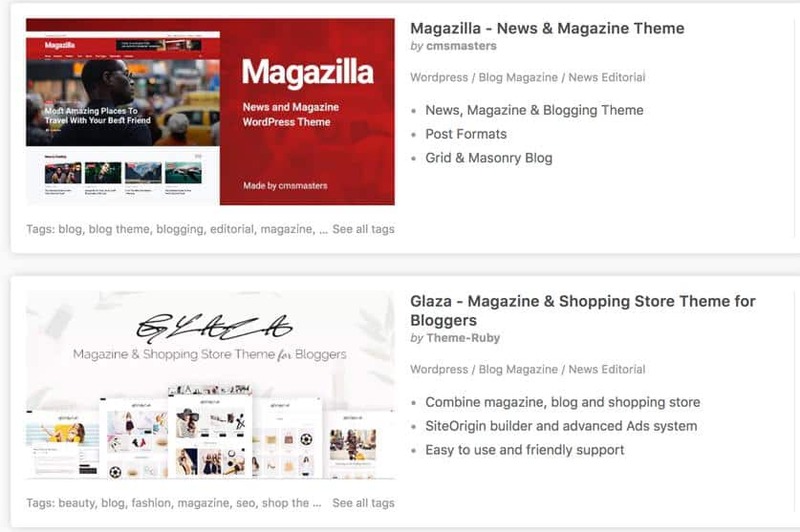 This article on blogging tools for beginners is my attempt to help you avoid the same mistakes – and the good news is that several of the things I recommend are free. The big mistakes I made with my earliest blogs. How to build a blog that’s ready to start earning money from day one. 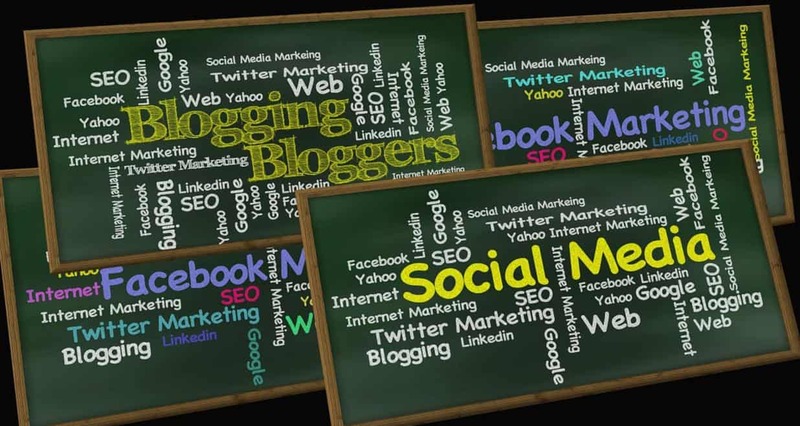 The absolute musts to build the foundations of a successful blog. Essentials about hosting and website themes. Which tools I use daily to support the growth of HomeWorkingClub. As I said when I produced my detailed blogging guide for beginners, there’s a huge difference between creating a blog as a hobby and creating one you hope to make some money from. Blogging isn’t a way to “get rich quick,” by any stretch of the imagination. However, with the right planning and foresight, it is perfectly possible to turn blogging into a career and a business. If you have any plans to do that – even if they’re only vague desires – the decisions you make right at the start will make all the difference. If you’ve ever watched Shark Tank (or Dragon’s Den, the non-US version), you’ll be familiar with a common scenario: Someone invents and produces a product, and only then tries to work out how to promote and sell it. It’s similar with blogging; You can create something attractive, engaging and informative, but if you don’t have the infrastructure in place to build a business around it, you’ll struggle to do so. Want to start a blog but scared of the technical bits? Check out this review of Wealthy Affiliate, which could provide you with the solution. But why not a free WordPress.com site? 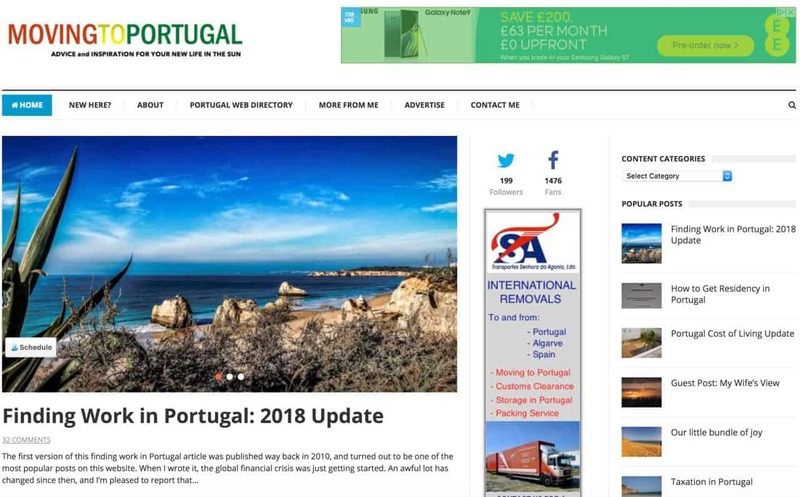 When I started my first blog in 2008 (a site about Moving to Portugal), I have the defence that it was only intended as a hobby blog. If I’d planned it properly (or read an article like this one!) before I started, I could have saved myself an awful lot of time. I started the blog on the free WordPress.com platform (read about it here), used a theme that didn’t accommodate advertising, and never did ANY keyword research. In a way, it was more luck than judgement that I had any success at all! However, despite that luck, I did have to pay for my lack of planning by spending considerable time moving the site and rebuilding it. I also wasted days and weeks writing content that many people never found due to my lack of keyword research. Over the years that followed, each subsequent site I built had more structure, more refinement and more “future proofing.” My most recent site is the one you’re reading right now. It’s not perfect, and there are already all manner of things I’d like to do to improve it, many of which have only really surfaced as the site’s grown bigger and busier. However, I do feel that I’m in a good position to provide a list of essential blogging tools for beginners. In this article, I discuss products and services that I use personally and whole-heartedly vouch for. The first things you need are the very foundations of your blog. You can’t miss them out or skimp on them. 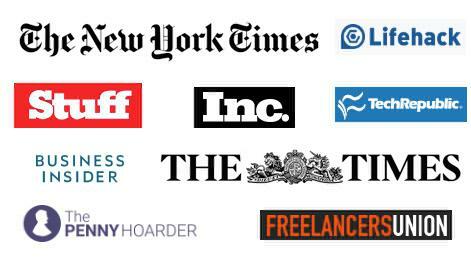 If you read lots of online articles about blogging, you’ll see a couple of web hosting companies recommended over and over again. I won’t mention their names, but the reason they continually come up is that they pay the most commission to their affiliates. I’ve used Dreamhost for my own sites for over ten years, and have never been seriously annoyed with them in all of that time! (I even had a stint of reviewing web hosting companies for a client a few years ago, and didn’t have my head turned enough by any other company to tempt me to switch). I’ve been through various trials and tribulations with my websites, including hacking incidents, and Dreamhost’s customer support has always been incredibly helpful. Dreamhost has also been my provider of choice when hosting websites for my clients, and (knock on wood) I’ve had no cause for complaint there either. I’ve upgraded my hosting as sites have got busier, and moved HomeWorkingClub onto its own Virtual Private Server (VPS). These migrations have always been smooth and stress-free. Those are merely my personal experiences, and – yes – I am on Dreamhost’s referral scheme! But I don’t stay loyal to companies I don’t believe in. You can see Dreamhost’s hosting options here. If you want an alternative recommendation, I’ve used WP-Engine on behalf of clients, and they provide a premium service (at a more premium price). They’re well worth a look too, and you’ll find them here. We’ve covered the difference between setting up a free WordPress.com blog and having your own site on your own hosting in this previous article. 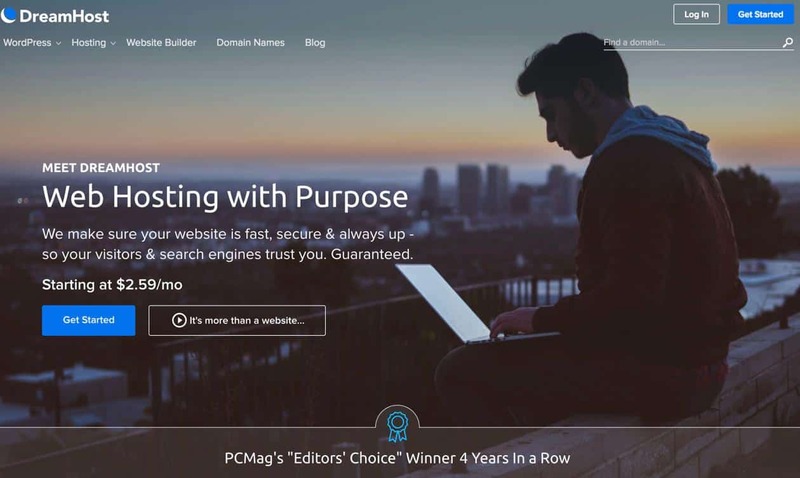 While you can get up and running with a blog in minutes by setting up on WordPress.com, it’s best to have full control of your web hosting and genuine ownership of your site. You can still use WordPress to run your blog. The other key point here, as I’ve already mentioned, is if you set up a free WordPress.com site and then want to move it, you have to work out HOW to move it! I’ve worked in IT since before the year 2000, but if you asked me to create a site like this one – and one that resizes itself tidily for cellphones and tablets, I wouldn’t know where to begin! Thankfully, people who specialise in website design create thousands of beautiful themes you can use for your blog. They range from really basic themes where you just change a few colours and upload a logo, to advanced theme frameworks where every element of the design is highly customisable. This is a time to think ahead; If you’re setting up a commercial blog, it’s worth thinking about where adverts are going to go, even if you don’t plan to monetise straight away. The chances are you’ll be living with your chosen theme for a long time, so you’ll want to make the right choice. It’s also essential to read reviews and find out what the support on the theme is like. I’ve had varied experiences with themes over the years. The one in use on this site is great, and it’s usually possible to find a simple menu option to change the tiniest little detail. However, just a few months ago a client chose a simpler yet more expensive theme, and every tiny tweak required me to contact the developer for help with complicated HTML code. The best place to look for website themes is ThemeForest, which you’ll find here. I was tempted to put this at the very top of my list of blogging tools for beginners, because keyword research is something you ideally want to start doing before you even commit to a new blog. I’ve written plenty about keyword research elsewhere on the site, so look here and here if you want to find out more detail. 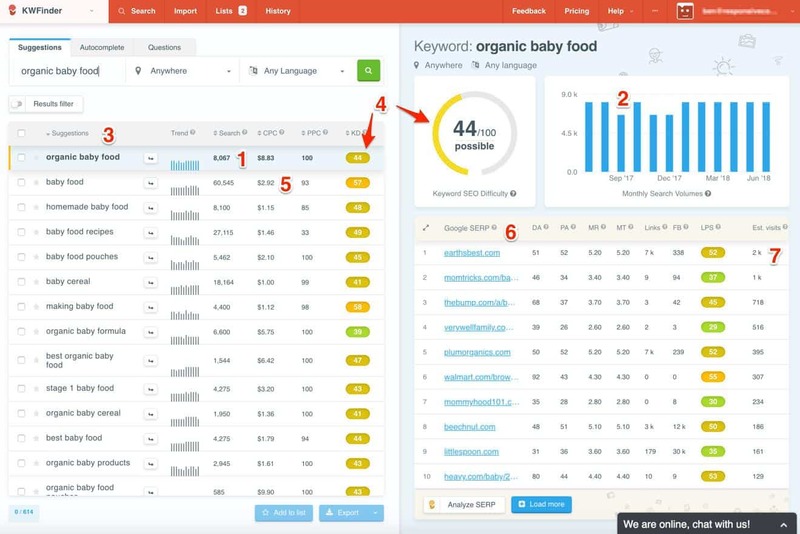 Put simply, keyword research is all about finding out how many people are searching for specific things online, and what web pages Google currently suggests to those people when they search. What the research teaches you is whether there are enough people looking for what you’re planning to write about, and how fierce the competition is. Sure, you can press on without this research, but you’ll waste a lot of time. First off, there’s little point in creating content that only a few people are interested in. Secondly, even if the audience for a topic is huge, you’ll struggle to compete against existing high-profile sites while you’re just getting started. Keyword research helps you to hunt down topics where you do actually stand a chance of ranking on Google. If you don’t do it before you write content, you can guarantee you’ll be wasting some – if not most – of your blogging effort. My current research tool of choice is KWFinder, but I also suggest comparing Long Tail Pro. You can get free demos of both, and find detailed reviews of them here. This section moves away from the foundations and onto the practicalities, with three tools that are focussed on helping you create and manage your content. Once again, these are all things I use personally to run HomeWorkingClub every single day. Trello is available FREE – so you can try it out right away without handing over any money. Even if you’ve yet to start your blog, it’s the perfect place to start noting down tasks and ideas. Trello is a simple project management system, built around a system of “cards.” You can think of it as a super-sophisticated online whiteboard, complete with movable Post-It notes. I use Trello to keep a note of ideas for articles, tasks I need to complete for my site(s), articles currently in the hands of writers, social sharing, and all kinds of other things. Trello is the “mother ship” for everything I have going on with my blogs, and I wouldn’t want to be without it. Trello is also very scalable; I used it to build and maintain a multi-user “content pipeline” for one client, and it’s as useful for managing a large team as it is for a single blogger. If your blog ends up evolving into a fully-fledged company, Trello will still help you organise everything. You can find Trello here. 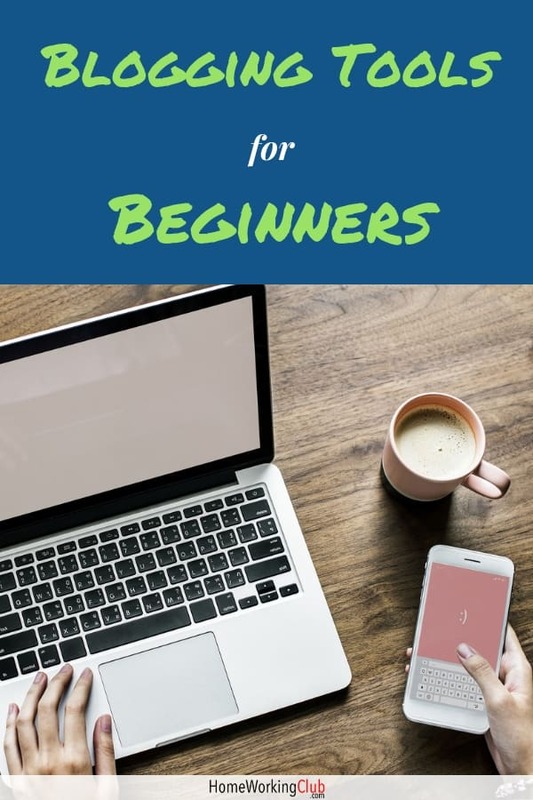 It’s easy to recommend something free, but the next item on this list of blogging tools for beginners is going to cost you! (But only as much as a few premium coffees each month). I often get drawn into a debate as to whether freelancers and bloggers can manage without Microsoft Office. Factually speaking, you absolutely can. If you want to, you can get by using free OpenOffice and Google Docs, and by using basic email functionality from your web host. The more important question is whether you’d actually want to – and as it’s me writing this article, I’d say I definitely wouldn’t want to go without all the pro-level tools I’ve used for all of my working life. I like that I can switch on Word’s grammar checker to ensure I’m not littering my articles with passive voice; I like having full Exchange Server functionality, so my email works as well and syncs as well across multiple devices as it would if I worked for a large corporation and not a little blog; And I like the fact that when clients and fellow bloggers send me Word, Excel and PowerPoint files, I have the proper applications to work with them, and not clumsy workarounds. Back when Microsoft Office was sold on a one-off basis for several hundred Dollars, I could empathise with people not wanting to pay out. But at around ten bucks per month on a subscription, I think it’s daft to try to do without apps that are undeniably the industry standard. You’ll find Office 365 for Business here. If you’re blogging, you’re going to be doing a lot of writing. And however good you are at spelling and grammar, mistakes always slip through. 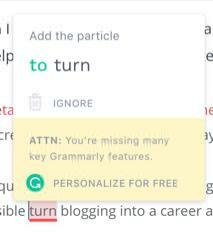 You can minimise them with Grammarly, and it’s another one of the blogging tools for beginners that’s available in a free variant. As you can see from the screenshot below, it’s helped me as I’ve been writing this very article. We’ve already published a full review of Grammarly here. 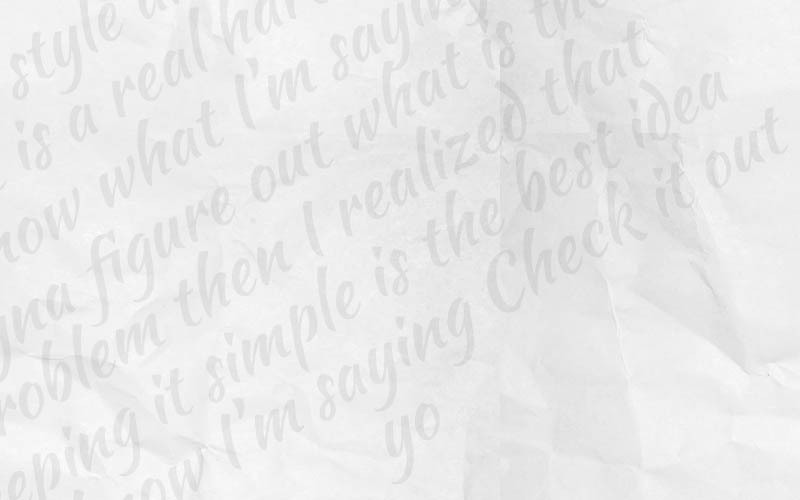 Turning out blog posts with (almost) perfect grammar is really important if you want to create a blog that people take seriously. So, we’ve covered what you need to build your blog on a solid foundation, and looked at some blogging tools for beginners that will help you with planning and creating great quality content. Now you need to make sure people actually see your content and keep coming back to your site. With that in mind, here are the three tools I couldn’t live without at HomeWorkingClub. The one piece of blogging advice I stubbornly ignored for a stupidly long time was the importance of my email list. I feel genuinely ashamed of myself when I think back to how many past opportunities I ignored to build up a base of subscribers. I’m even more ashamed to admit that HomeWorkingClub is the first site where I’ve prioritised growing my subscriber base right from day one. 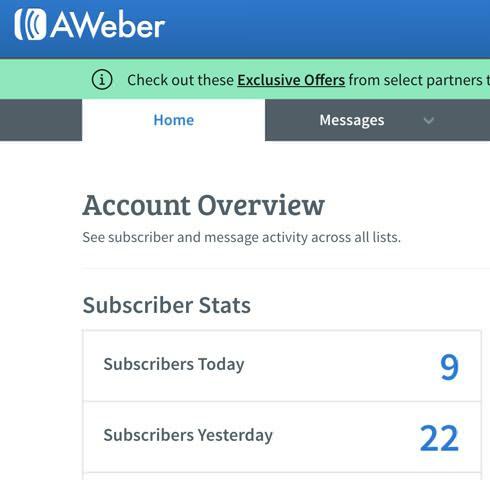 Aweber is my product of choice for managing blog subscribers and sending out newsletters. There are more sophisticated products out there, but I think Aweber hits a sweet spot between ease-of-use and sophistication, and is also very reliable. There’s a free trial of Aweber available, and after that it starts at just $19 per month. I strongly recommend using Aweber, or something like it, right from day one of launching a blog. If not, you’re letting potential long-term readers walk away and forget about you every single day – like I once did! Buffer is yet another product that’s available as a free version, and I’ve only recently graduated to the paid version after enjoying using it since the start of HomeWorkingClub. Buffer is an automation tool for posting on social media. I primarily use it for Twitter, but it also has support for lots of other social networks including LinkedIn and Facebook (see the screenshot below). 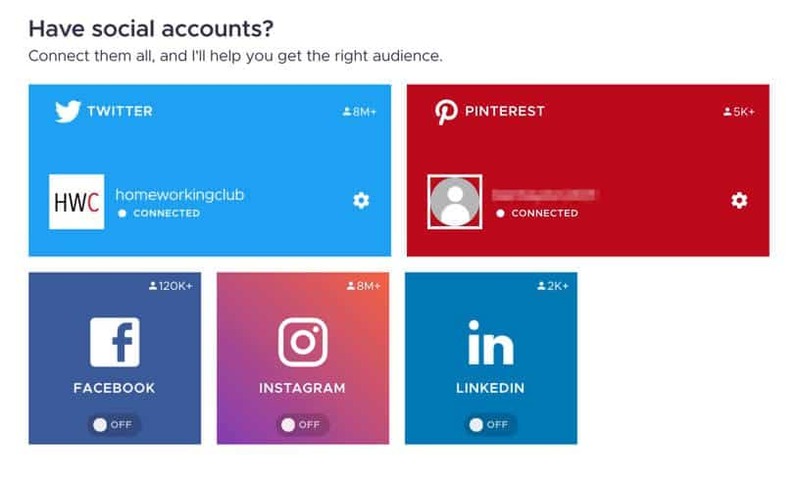 The key to being active on social media is to be consistent, but it’s not very practical to log on to lots of social networks multiple times each day to post something and keep your timeline current. 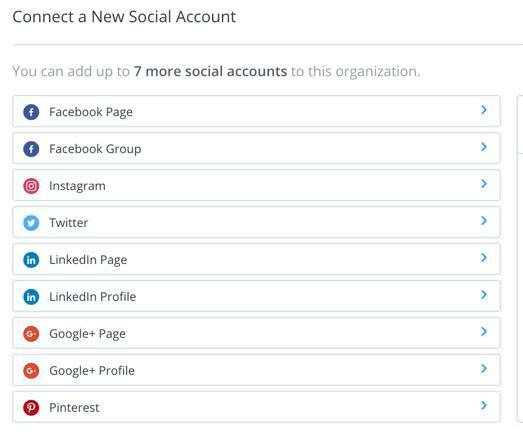 Buffer allows you to do it all as a batch task, ensuring your social feeds remain active even when you’re not around. There’s definitely some overlap between Buffer and Crowdfire, but I use both. Crowdfire also comes in a free variant, but it’s rather limited in that form. I’ve produced a full and detailed review of Crowdfire, and you can visit Crowdfire here. So, that concludes my list of blogging tools for beginners. I hope it helps you to treat your blog like a professional business from day one! Buffer for organising social media. Crowdfire for growing social media. As previously mentioned, I personally use and vouch for all of the above! If you’d like to share any favoured tools of your own, feel free to do so in the comments below. 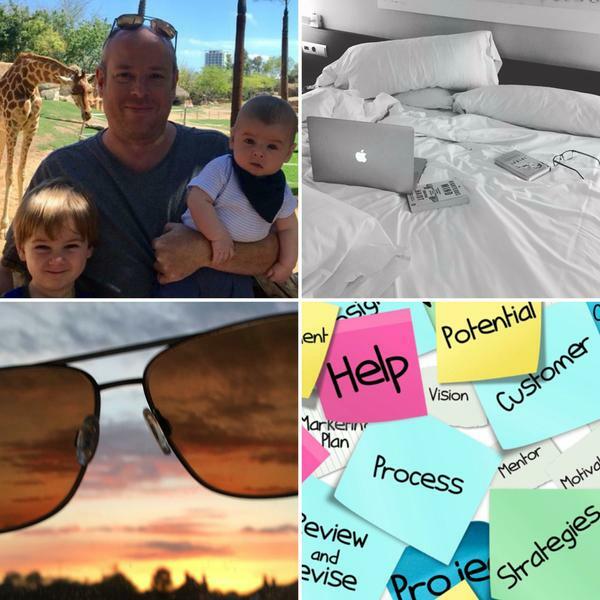 Everything Ben has posted on the ups n downs of getting into the blogging business as a neophyte, makes sense. I’ve been told that blogging is something I should look at, as some one who has spent their career doing a lot of physical work. That being said, I surfed around and found a few sites that offered advice, some it for free, some of it not, and many with promises of an easy lifestyle with mounds of money coming in. Not . Very. Realistic . Nothing that is worthwhile comes easy but there are ways to make it less stressful and the actual approach easier once yo have that first step in site. This is where Ben comes into the picture. I had requested some information on what to look for and what to expect, and how to get that ball rolling. I read through the 3 articles and its all black and white, written by someone who lives the life and has made mistakes, and worked through them. This sort of honesty is pure gold, and thats what I am looking for. Honesty. How often do you find that sort of advice on the internet, and with the premise that it helps people without a hefty price tag. Its very much appreciated and taken to heart.